We're all a little desperate for Likes these days. There are many methods & tactics you can use to get them. 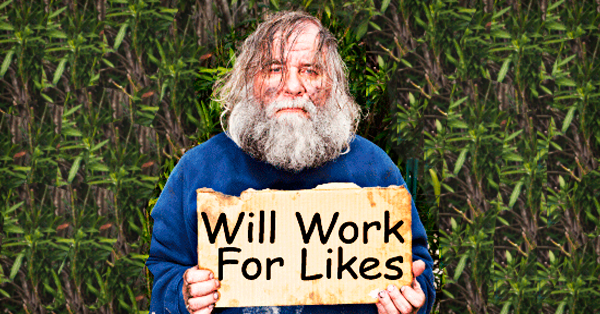 In my opinion, the hands-down most effective way to get Likes on your page is through ads. WAIT!... HOLD ON!... don't click "X" and close the tab just yet! 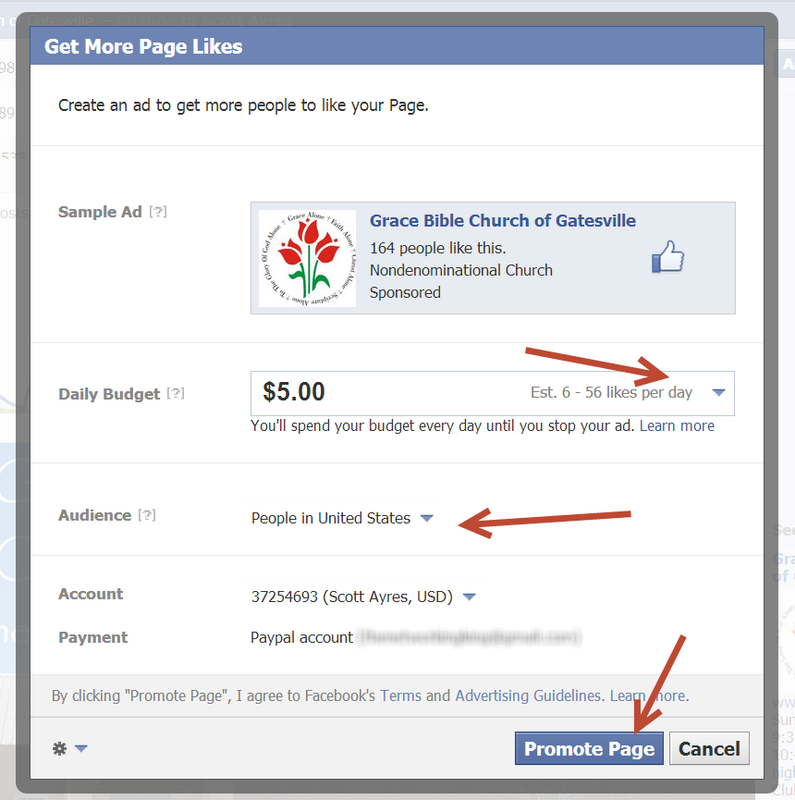 I know a lot of you are against Facebook ads -- or just plain scared of running them. Facebook ads are actually super easy to create & use -- and if you're running a business, you *should* be spending money on advertising. 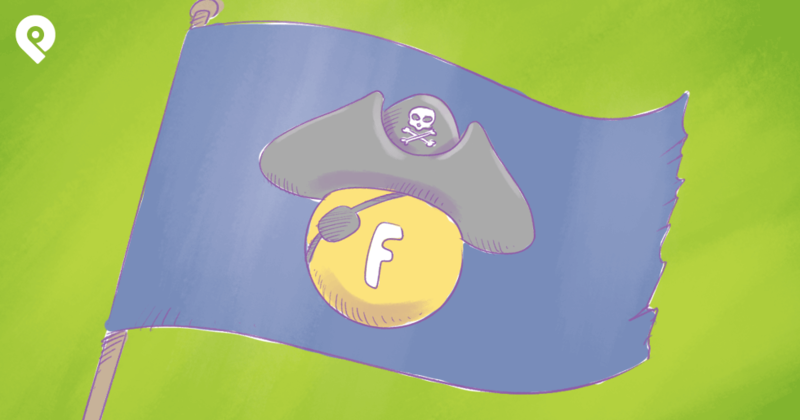 What are Facebook Like Ads? 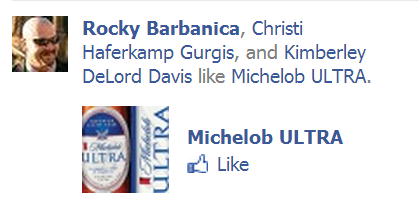 A "Like Ad" is simply an ad on Facebook that shows one of your friends has Liked a certain page. 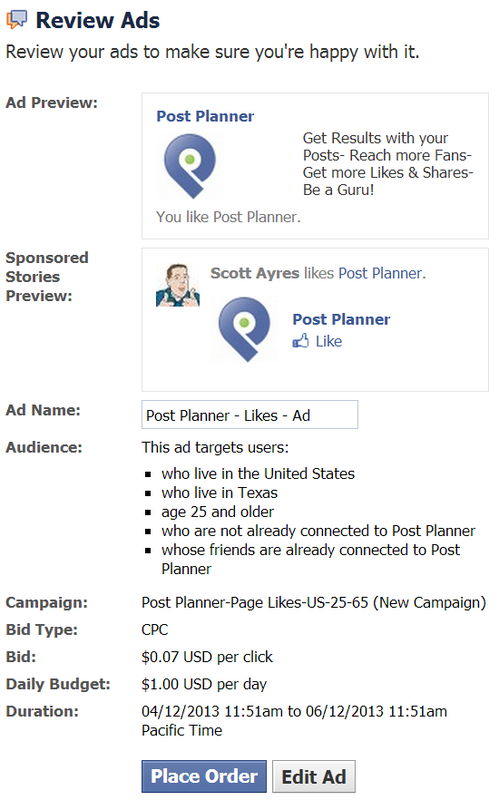 How to Create a "Like Ad"
I see a lot of Facebook experts telling people to use Facebook's "Power Editor" for ads. It's a great tool, but I'd only recommend it if you're running ads for multiple pages -- or you're running many ads from your own page. Otherwise, use the options I lay out below. Remember: my goal is to make this super simple for you. I'll start with a step-by-step tutorial on how to set up a Like ad using the "Get More Likes" option. Then I'll do the same thing for the "Build Audience" option. If you see "Get More Likes" in the admin panel above your cover photo, you can use this option. If not, scroll down now (in this blogpost) to the "Build Audience" Option. 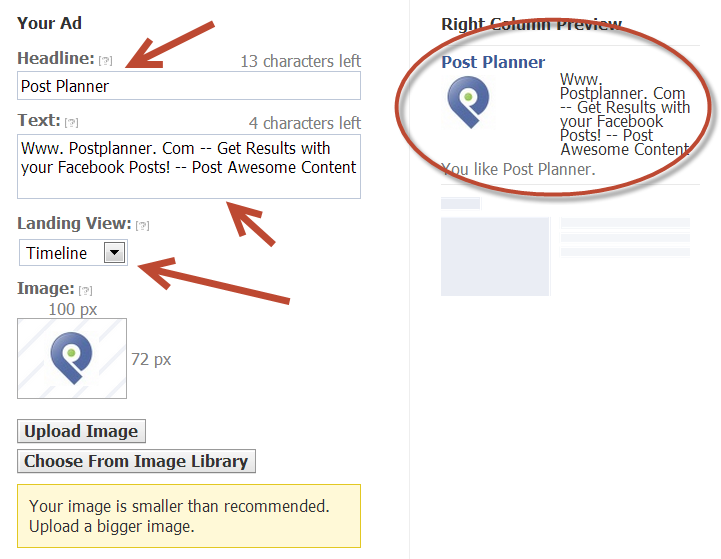 Depending on your page size, you will see different amounts to spend per day to promote your page. Decide what amount is best for your budget. I'd recommend starting with a smaller amount first to test the ad -- and then you can increase it later. 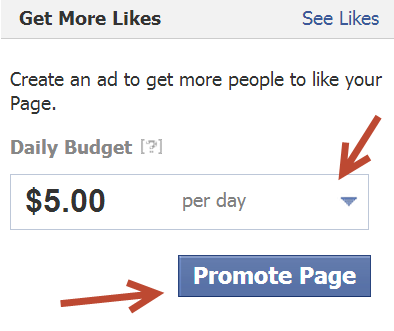 Step 4: Click "Promote Page"
After you've chosen a budget, just click the "Promote Page" Button. 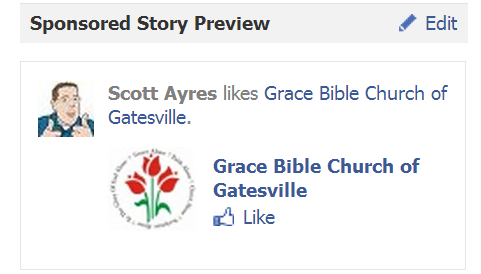 The above image is from the page of a small church I go to in my hometown. I'm helping them with social media and because their page is still under 200 Likes, I'm seeing this "Get More Likes" option. I've spent maybe $20 in ads over the past 5-6 weeks -- and increased the fan base from 65 to 164! Facebook Ads DO work, people! Step 6: Click "Promote Page"
Once you're satisfied with the ad setup, hit the "Promote Page" button. This notice will pop up: "Your ad has been created and will run until you stop it"
Pay attention to this notice! Remember: there's no end date for your ad. Whenever you're ready to stop the ad, you can go in and turn it off. The great thing about these 3 ads is you can click the "Edit" pencil and edit any item in the ad -- including the headline, text, image, target audience, budget, etc. You can even change the landing page users get sent to when clicking the ad. Choose between the page's Timeline or a tab app. IMPORTANT! if Facebook gives you this option, it's super easy to set up -- but REMEMBER: you need to go in & edit the ads to make sure they look correct. I learned my lesson the hard way on this by letting an ad run with really bad text on it. 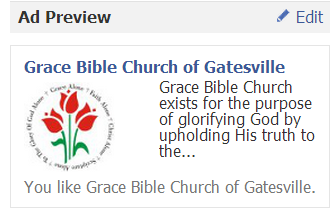 The funny thing about my ad was the title of "Grace Bible Church of Gatesville" is actually 7 characters too long. But since I created it through this "Get More Likes" option, it will post as is. However, once I go in and edit the ad, I have to shorten it. That's the "Get More Likes" Option. Now onto the "Build Audience" Option. 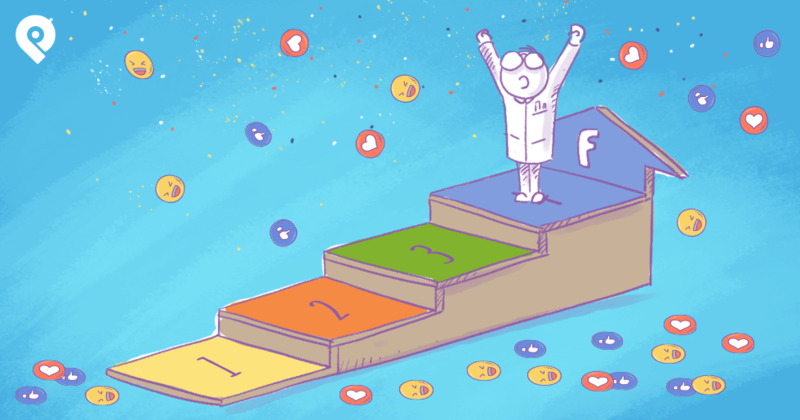 If your page doesn't have the "Get More Likes" option, then you'll need to follow these steps to create basically the same ads. Pretty simple step -- just head to the page you want to run the ad for. 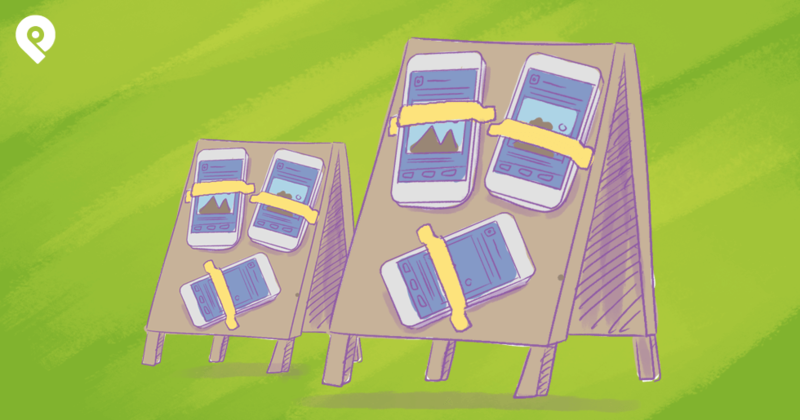 Step 2: Click "Build Audience"
Scroll above your cover photo and you should see a tab that says "Build Audience". Click on it. Step 3: Click "Create An Ad"
To create your new "Like Ad" click "Create An Ad"
Step 4: Choose "Get More Page Likes"
Note that under the "What would you like to do?" question, Facebook gives you 3 options. Make sure the "Get More Page Likes" option is selected (which it should be by default). Edit your Headline -- Keep it short. I'd suggest leaving it your page name. Edit the Text of the ad -- You get 90 characters here to entice people to click Like. Use it wisely. Choose Landing View -- You can direct traffic to your Timeline or any tab app on your page. Choose an image -- Usually you'll leave your logo/profile image in place for this type of ad. But that's up to you. *This ad you're editing in Step 5 is what will show up as a "Sidebar" ad. Not many things to edit or change here. You can choose to show a story in the News Feed when someone Likes your page -- and you can add URL tags. I won't get into URL tags here, as it's an advanced option most of you won't need. I suggest leaving the box checked for "People liking your page". As you can see in the "Sample News Feed Story", when someone's friend Likes your page, a Sponsored story will appear in their news feed. This gives great social proof -- the kind of proof you want & need. Depending on your page, you'll need to decide how you want to target your ad. Location -- if you're a local business, you should target to a city or zip code within 20-25 miles of you. Age -- if you have a product meant for a certain age, it's best to target by age. Again, this is totally dependent on your business and brand. For me I always choose 20 & over at minimum -- because unless your product is teen related, you might be wasting ad dollars. Gender- Choose All, Men or Women. Again this depends on your goal of the ad and how you are targeting it. No right or wrong selection here -- unless your ad text says "Hey Ladies!" or similar in it. I do think it's best to segment your ads by gender just to see how each react to them. Precise Interests- This can be a bit tricky, but super powerful if used correct. If your business is in the Automotive niche, for example, you may want to choose interests like "Nascar" or "Cars". This will target your ad down to a smaller, interested audience. And will save you lots of money. 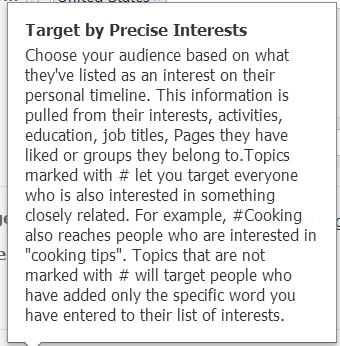 Broad Categories- Use these categories to target people that share similar interests as well. I can't stress enough how important it is to choose the right categories. This can make or break your ad. Connections- Here you can choose to show the ad to "Anyone", "Only people not connected to your page" or "Advanced connection". Select "Only people not connected to your page". Friends of Connections- This setting is a great one. From here you can choose to only show the ad to people whose friends have already Liked your page. I highly recommend this. Again, it's all about social proof. Now you have to choose the name of the Campaign. This is more important if you're running multiple campaigns -- and especially for various pages. Then choose your budget. Just enter a dollar amount and then select "Per day" or "Lifetime Budget". Next you can decide to leave the ad running continuously every day or choose a specific start and end date. By default, this Like Ad is setup as a CPM (Cost Per Impression). Which means you pay when people see the ad. CPM ads will give you greater exposure, but will spend your ad dollars faster. CPC (Cost Per Click) tends to be more competitive to get impressions, but you only pay when someone clicks on the ad. Facebook then asks you to choose between letting them automatically optimize your budget to get more clicks or you manually bidding for clicks. If you choose the manual bid, Facebook will give you a "Suggested bid" which will be based on what others are paying based on how you targeted the ad. ***At times I've been able to bid lower than the suggestion and still get ad placement -- but, again, it all depends on how competitive your space is. In the end you're probably going to have to run Like Ads using different techniques and bidding methods to see what works best for you. To start, just keep it simple and do CPM. Then once you've gotten comfortable with ads, try CPC ads. It's always a good idea to click the "Review Ad" button and check if you set things up right. If you've made a mistake, it will show up in a red lined box like below -- and you'll need to adjust your ad accordingly. Once Facebook approves your ad, you'll be taken to a screen where you can see a preview of your ad -- which you'll notice looks just like the ads in the "Get More Likes" option. The only thing you can change here is the "Ad Name". If you need to change more, click "Edit Ad". So hit that big blue button that says "Place Order". Now the bad news... the HUGE downside of having to place a "Like Ad" using the "Build Audience" option is you have to wait for Facebook to approve your ad. Using the "Get More Likes" option gets your ads approved immediately. In any case, congratulations!... You've now graduated from learning the basics of Facebook "Like ads". 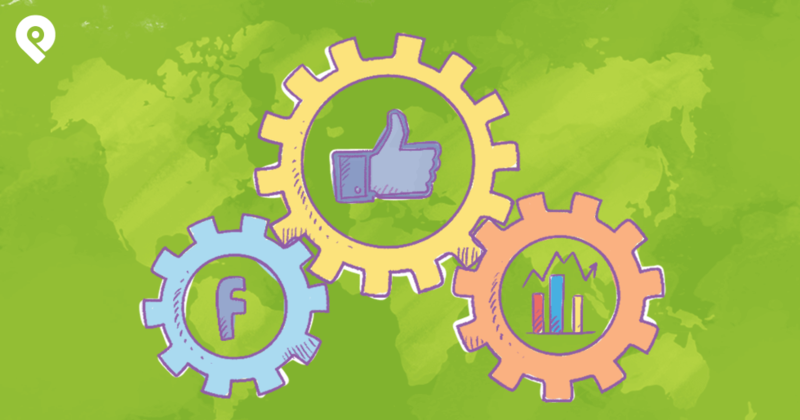 You're now smarter than 90% of your competitors marketing their businesses on Facebook. I hope you found this useful and helpful. Now please hit that "Like" button and share this post on Twitter & Facebook.